With production slated to begin this summer on Quentin Tarantino's Once Upon a Time in Hollywood, the director has added yet another cast member with Timothy Olyphant in talks to join the drama. No details about the character have been released, including if he's playing someone real or fictional. Perhaps we'll find out more when cameras start rolling in Los Angeles this summer. The actor's schedule had to be reworked around his hit Netflix series The Santa Clarita Diet, but those issues have been sorted out and negotiations are under way. If a deal is finalized, Olyphant will join a cast that includes Leonardo DiCaprio, Brad Pitt, the recently-confirmed Margot Robbie, Kurt Russell, Tim Roth, Michael Madsen, Zoe Bell and the most recent casting addition, Burt Reynolds. The story was originally said to revolve around the Sharon Tate murders in 1969, perpetrated by members of the Manson Family, but it was later revealed that the movie tells a much broader story about the events of 1969, and while the Tate murders will be part of this story, it will not be a focal point. The story centers on Rick Dalton (Leonardo DiCaprio), the former star of a long-running hit Western series, and his stuntman, Cliff Booth (Brad Pitt), who both find themselves struggling in a Hollywood that has changed so much right before their very eyes. As they try to navigate the film industry that has changed so much, this also happens while Rick lives next door to the up and coming actress Sharon Tate (Margot Robbie). No details have been given yet for the characters played by Roth, Russell, Madsen and Bell, but Burt Reynolds is playing George Spahn, the owner of the ranch where the Manson Family stayed at and planned the infamous murder in the summer of 1969. Both Quentin Tarantino and Leonardo DiCaprio made surprise, unannounced appearances at the CinemaCon convention for exhibitors last month, where the director compared this movie to his 1994 breakout hit Pulp Fiction, while claiming that Brad Pitt and Leonardo DiCaprio will be the silver screen's most dynamic duo since Robert Redford and Paul Newman starred in Butch Cassidy and the Sundance Kid, which coincidentally was released in the year this movie is set, 1969. It remains to be seen how many more pivotal roles will be filled before production begins. Sony Pictures has already set an August 9, 2019 release date for Once Upon a Time in Hollywood, which puts it against Disney's Artemis Fowl. That date is quite important for another reason as well, since it marks the 50th anniversary of Sharon Tate's murder. 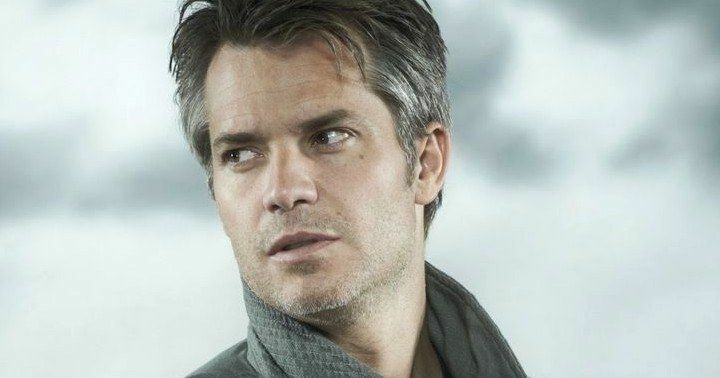 Timothy Olyphant can currently be seen in the hit Netflix series The Santa Clarita Diet, alongside Drew Barrymore, and he also has Behold My Heart in post-production, which he stars in alongside Marisa Tomei, Charlie Plummer and Mireille Enos. Deadline broke the news on this casting earlier today, and hopefully we'll hear more about this project soon.